So what’s a lip balm and why do we have to use it? First of all, a lip balm is a wax-type substance we put on our lips to prevent and or to relief our lips from drying or chapping. Compared to its more prominent cousins - lip gloss and lipsticks, lip balms are often forgotten and in fact not many of us women have this lip essential in our purses and that includes me. Though I have a stand by lip balm stick on my beauty drawer, I don’t really find it as essential as tucking a lipstick in my ‘kikay kit’, well, not until I knew the science of lips. I understand that among other areas of our epidermis our lips has the thinnest layer and that they have no oil glands in them that naturally produces oil to moisturize, as a result our lips are prone to dryness that’ll eventually result to chapped lips, if this happens, lips balm can be the best solution to this problem. I can’t remember anymore when was the last time I had this lip balm brand in my beauty kit, well, blame it to novelty and variety of lip balm brands popping in the market today can't help but try them too, but as always it feels good to return to trusted brands like Carmex that never fails to live up to its promise. 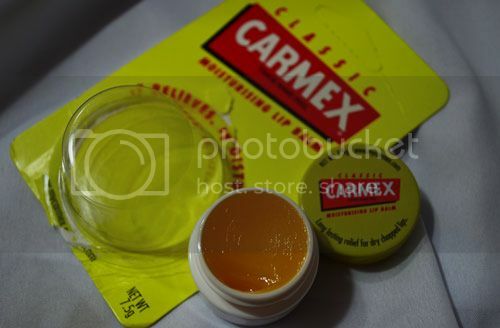 Lately, I had a chance to use two of the classic CARMEX moisturizing lip balms again. First is the click stick small tube, it clicks every time you twist the wax up, hence the name. The classic Carmex mentholated feel every time you run the wax on your lips is still there, it’s one of the notable qualities of this lip product - you’ll really feel you’re putting them on. Now, you don’t have to worry about unprotected lips while daring the sun as this originally flavored Carmex now comes with SPF 15. Second is the classic ‘apply-with-your-pinky-finger’ jar, I actually prefer this than the tube applicator, I can have more control on the amount of wax I’m applying before putting on my lipstick, yes, it’s the best lipstick base for me, your lips will have a natural pouty-look and evens the lipstick well. Carmex is one of the trusted and oldest lip balm brands in the market today you won’t think twice picking; with over 75 years in the lip balm business you can be very sure of the quality and the promise of their products. 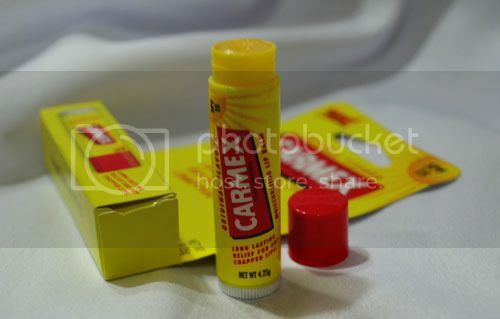 So, if you’re still confused on what brand to pick up on the shelf for your lipstick base or for your daily dose of lip moisturizer, then I suggest pick Carmex, you can’t be wrong with it.